The aerial acrobatics of the house martins alert me to the coming sunset. I see the swift shadow of the first flight emblazoned like a burn mark on the far wall. There must be a tear in the masking paper at the big window. My heart skips a beat. 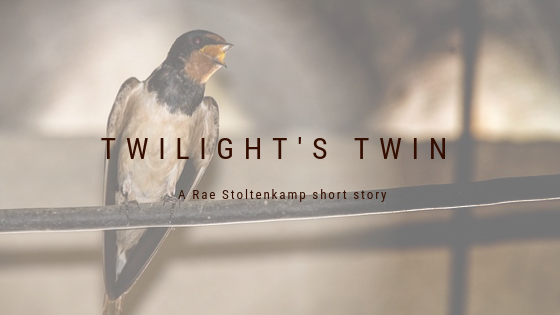 Once, long ago, I saw myriad swallows spiral and swoop across a vast African reed bed. They pas de deuxed with air currents then pirouetted down to quench their thirst in the lake below. My shaded eyes drank in their Spitfire antics, my body ablaze with the wonder of it all.But that was before. Still the swallows signal the arrival of the dark of day. Dusk, the shadier twin to twilight. Most people quiver at the setting of the sun. You can’t rightly blame them. The earth rotates, the tiniest bit, about 6º or so. Snap. Day into night. Corners consumed by shadow. And in the shadows… nameless lurking things.